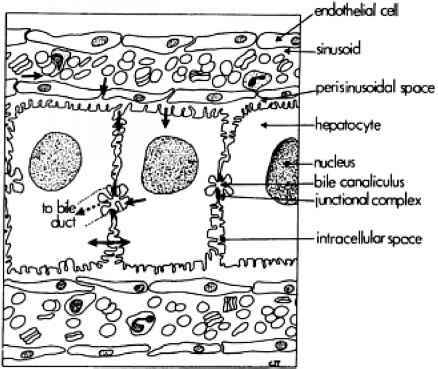 FIGURE 6.2 The vasculature supplying and draining the liver and its relationship to the systemic circulation. From Timbrell, J.A., Biotransformation of xenobiotics. From General and Applied Toxicology, 2nd edition, edited by Ballantyne, Marrs andSyversen, Stockton Press, U.S.A. FIGURE 6.3 Schematic representation of the arrangement and relationship of vessels and sinusoids in the liver. 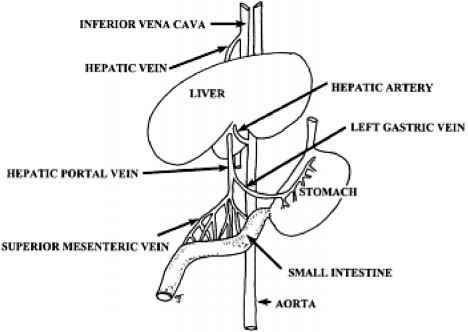 The central vein drains into the hepatic vein. From Timbrell, J.A., The liver as a target organ for toxicity, in Target Organ Toxicity, edited G.M.Cohen (Boca Raton, Fl. : CRC Press), 1989, with permission. hepatocytes form the bile canaliculi into which bile is secreted. The bile canaliculi form a network which feed bile into ductules which become bile ducts (figure 6.3). 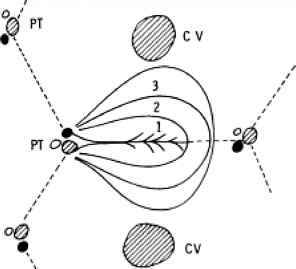 FIGURE 6.4 Diagrammatic representation of the arrangement of hepatocytes within the liver and the relationship to the sinusoids. From Timbrell, J.A., The liver as a target organ for toxicity, in Target Organ Toxicity, edited G.M. Cohen (Boca Raton, Fl. : CRC Press), 1989, with permission. represent the various zones draining the terminal afferent vessel. Adapted from Rappaport, A.M. (1969) In Diseases of the Liver, edited by L.Schiff (Philadelphia: J.B.Lippincott). the central venules, whereas bile flows in the opposite direction. There are three circulatory zones in the acinus, with zone 1 receiving blood from the afferent venules and arterioles first, followed by zone 2 and finally zone 3. Thus, there will be metabolic differences between the zones because of the blood flow. Zone 1 will receive blood which is still rich in oxygen and nutrients, such as fats and other constituents. The hepatocytes in zone 3, however, will receive blood which has lost much of the nutrients and oxygen. Zone 1 approximates to the periportal region of the classical lobule and zone 3 to the centrilobular region. Zone 3, particularly where several acini meet, is particularly sensitive to damage from toxic compounds. The acinus is also a secretory unit, the bile it produces flowing into the terminal bile ductules in the portal tract. compounds are taken up very readily into hepatocytes. For example, the drug propranolol is extensively extracted in the 'first pass' through the liver. a The large and diverse metabolic capabilities of the liver enable it to metabolize many foreign compounds, but as metabolism does not always result in detoxication this may make it a target (see Chapter 7, carbon tetrachloride and paracetamol). b The liver also has an extensive role in intermediary metabolism and synthesis and consequently interference with endogenous metabolic pathways may lead to toxic effects, as discussed in Chapter 7 (see galactosamine and ethionine). c The secretion of bile by the liver may also be a factor. This may be due to the biliary excretion of foreign compounds leading to high concentrations, especially if saturated as occurs with the hepatotoxic drug furosemide. Alternatively, enterohepatic circulation can give rise to prolonged high concentrations in the liver. Interference with bile production and flow as a result of precipitation of a compound in the canalicular lumen or interference with bile flow may lead to damage to the biliary system and surrounding hepatocytes. d The blood supply ensures that the liver is exposed to relatively high concentrations of toxic substances absorbed from the gastrointestinal tract. The hepatocytes, or parenchymal cells, represent about 80% of the liver by volume, and are the major source of metabolic activity. However, this metabolic activity varies depending on the location of the hepatocyte. Thus zone 1 hepatocytes are more aerobic and therefore are particularly equipped for pathways such as the ^-oxidation of fats, and they also have more glutathione and glutathione peroxidase. These hepatocytes also contain alcohol dehydrogenase and are able to metabolize allyl alcohol to the toxic metabolite acrolein which causes necrosis in zone 1. Conversely, zone 3 hepatocytes have a higher level of cytochromes P-450 and NADPH cytochrome P-450 reductase, and lipid synthesis is higher in this area. This may explain why zone 3 is the most often damaged and lipid accumulation is a common response (see carbon tetrachloride for instance; Chapter 7). The Kupffer cells are known to contain significant peroxidase activity and also acetyltransferase. The differential distribution of isoenzymes may also be a factor in the localisation of damage. 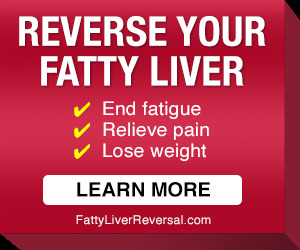 There are various types of toxic response which the liver sustains which reflect its structure and function. Viewed simply, liver injury is usually due either to the metabolic capabilities of the hepatocyte or involves the secretion of bile. The various types of liver damage which may be caused by toxic compounds are discussed in the following sections.